Today, 26 October, marks 30 years of bus deregulation whereby road service licensing was swept away to be replaced with "on the road" competition for bus services in the UK, excluding London and Northern Ireland. So was it a good idea, a dreadful idea or something that was OK but could be better? I haven't found a supportive article - perhaps that says something? Maybe you need to look harder. Whilst deregulation has its downsides there are a vast number of benefits. Labour have always been and always will be against dereg. Their views are thus bias. It's the equivalent of asking a union if train franchising is a good idea. Many places have better M-Sat daytime services than in 1985. Southend route 1 was every 30 mins with a few peak extras. It is now every 10-12. Similar routes 7/8 every 15 now about every 10. Route 20 every 20 now 15, route 250 numbered 25 these days every 30 min on common section with 251, now 4bph. Many other areas have a superior service. The only problem is evenings & Sundays. Maybe I don't. I did bother to check before posting. I'd have expected advocates of deregulation to be toasting 30 years of the policy and setting out the benefits. Not one of the large groups that run buses in the UK has put forward any media release toasting 30 years of deregulation and the success you'd expect them to be celebrating. They only exist in the scale that they do as a result of deregulation. Citing a few random examples of improved daytime frequencies in one location doesn't set out those benefits that you state as "vast". 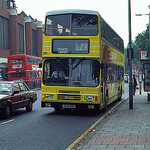 Southend is a rare surviving example of two operators running commercial services in one locale although there doesn't seem to be much outright competition. There is also a bit of a ragbag of smaller operators operating a distinctly unattractive set of tendered services. I deliberately did not set out a personal view. I shared what Google provided by way of comment. As I have said before I can see both sides of the argument - some places do have reasonable services, some routes have seen sustained investment, some places have lost large sections of their network, some places have appalling services and operators, information quality and provision varies hugely, fares and ticketing VFM & innovation also varies enormously. Perhaps you or others can set out the "vast" benefits to passengers? The benefits to shareholders in the large groups are pretty evident. A couple more articles but there has been very little recent research that is published on the web. Bus companies to their detriment have never been very vocal. They don't trumpet their success and quietly get on with the day job of running services. There are a large number of areas with better services, Oxford, Brighton, Reading & Nottingham for example. The latter 2 still owned by councils but being very innovative, once relieved of the shackles of regulation. The regulated era was a period of increasing subsidies and services not changing with demand. The NBC had the MAP project but not much else. That being said not many operators seem to try new things these days, although the consequences of getting things wrong can be disastrous. After all, a failing service still needs to run for 50 odd days after notifying the Traffic Commissioner. As with the railway, profits to shareholders are not as significant as implied. Some firms could make more money in a bank. See the TAS consultancy Bus Industry Monitor for true facts. They are independent and work for the industry and government/councils. The report is not free and may now be called something else, as it has been a few years since I last viewed one. It is felt more outside London. Before deregulation a company had to run a route all day, to put it simply,provide a public service. Any losses during the quieter periods were more than covered by the profits from the busy periods. Deregulation allowed companies to run the service when they wanted to - the profit making busy periods. My last bus previously 11pm - later at weekends - became 5.45pm - so I was forced into a car and now hardly use the service. What of the loss making periods - they were moved to us local tax payers via the councils if a service was required in these periods. See what is happening in Surrey at the moment is the result. Before derugulation ... were they companies or state owned entities? This is a slightly pedantic response but there were regional / area companies under the overall ownership of NBC which was owned by the government. There wasn't one massive all pervading NBC in England and Wales. Scotland similarly had a regional structure. These companies formed the basis of the businesses sold off although some large operations were split prior to sale to "increase competition". The reality is that we now have fewer companies and many of those old subsidiaries have been merged together and former "split" businesses are larger than before. In addition there were municipal bus operations in many large cities and towns. They were owned by the Council or were Council departments. A handful remain today but all are "arms length" companies. Nottingham City Transport has a minority Transdev shareholding. 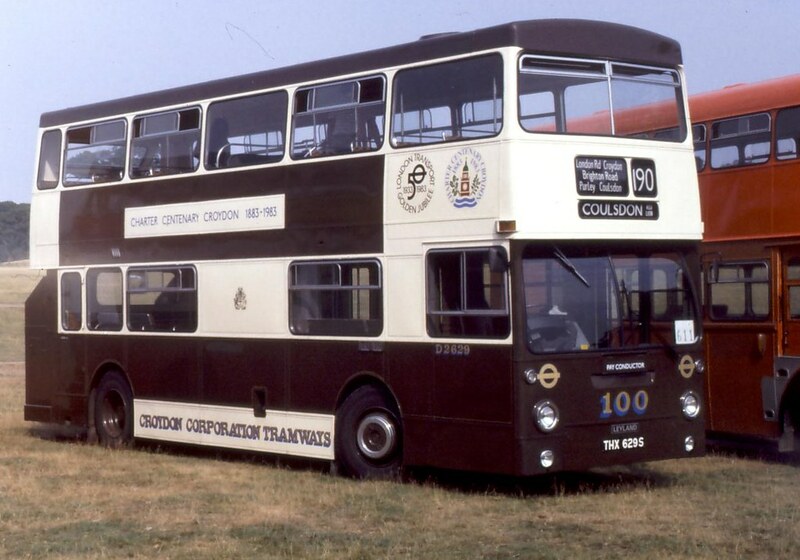 In the Metropolitan areas there were PTE owned bus companies. They were all sold off - GM buses was split in two. All are now owned by big groups - Arriva owns Merseyside, Stagecoach owns what was Tyne and Wear PTE, First owns Strathclyde, West Yorkshire and South Yorkshire, National Express owns West Midlands. Many of these operations are rather different in scale from what they were due to cuts, rationalisation, competition, company sales etc. Finally there were a lot of independents in many areas that had held stage carriage licences for many decades. One effect of deregulation has been to progressively kill off those businesses as they were either run of the road by larger competitors, businesses became less viable as bus use declined nationally. There are some exceptions which have grown and prospered but these are relatively rare. A smaller number have even managed to "see off" large scale competition but that's rare. I think people imagine buses were boring before deregulation but the reality was rather different. For me the loss of comprehensive networks and also the loss of decent, locally focussed independent operators is one heck of a price to pay for "innovation" and "competition". As schedcomp said, bus companies are not good at singing their own praises. I think the position is that deregulation has worked for some, and not others. We have the Wild East of Harlow as an exemplar of how not to do it, but just a few miles up the road, we have the Ensignbus approach. And Essex CC is entirely indifferent to both. Stagecoach and Arriva have rolled out quality products in places with features that TfL are only just starting to consider. Political control in London got us bendies and the Borismaster. Roger Davies (ex Maidstone & District) tells some horror stories of interference from NBC head office and local councillors involvement in network planning. As for the decline of independents, there are factors other than deregulation in play here, bearing in mind that it was deregulation that brought some of these on to the streets. Talk to any small bus operator and they will blame concessionary fare reimbursement and the need to renew fleets ahead of accessibility deadlines. In short, the position is very mixed and I can argue on both sides on this! No one would argue that Harlow is an exemplar. What is interesting is that Arriva (in whatever form) decided to hang on in Harlow. In some respects Harlow and Thurrock are similar but have ended up in very different situations. Both had Arriva as the main operator with some level of competition from independents. In Thurrock Arriva basically walked away from their network and opted to go after TfL work. It took several iterations of independents (Harris Bus, Town and Country and others) to come in and vanish before Ensigns took a punt on local buses. They were fortunate that Arriva and First walked away and didn't decide to run them off the road - that's how it appeared to me. The reality may, of course, be different and not in the public domain. I know from comments elsewhere from the Newman family that they take a cautious approach to expansion - especially for evening and Sunday routes but they have dabbled a bit by adding some extra services off the back of traffic into Lakeside. They also seem to have decided to stick with the 21 in the Brentwood - Ongar corridor that was taken on on an emergency basis. I suspect their reputation for decent operation may be paying off on route 21. I think they are both lucky and clever to have built a good link with the local communities in Thurrock to create a sense of "ownership" of their services. Loyalty is very important plus they're good at social media which helps in a variety of ways. In Harlow Arriva decided to stay and seems to have gone into survival mode with no massive attempt to run the various mutations of the main independent (Townlink etc) on town services off the road. There was some competition but Arriva could have brought in 50 buses and swamped every single route to crush the opposition. Instead it allowed the competition to self destruct. The thing I find mildly astonishing is that indepdents keep emerging out of the woodwork in the Harlow / Epping / Waltham Abbey "arc" and keep going and failing and reappearing. I suspect it is too late to do something decent in Harlow as the damage has been done to ridership for those who have a choice of car or bike or bus. I agree, whilst there will be exceptions, I think generally bus services are much better than they were pre dereg, even evenings and Sunday services have improved in some areas. I think it probably depends where you are. If you are in Oxford, or Brighton, or Nottingham for example, you'd probably have a favourable view. If you are in rural North Yorkshire, or North Surrey, or Mid Wales, your view is likely to be far less favourable. A lack of regulation has meant operators have tended to concentrate on urban areas more than less lucrative rural regions. Privatisation and consolidation have reduced the range of operators, and this is before the increased fall in independents unable to survive or sell out to the main operator. I shall leave London out of this for now. The privatisation of NBC & SBG subsidiaries, PTCs and numerous Municipal operators and onward sales are basically now in 16 hands. These are Stagecoach, First, DB-Arriva, Go-Ahead, National Express, Comfort DelGro, Wellglade, East Yorkshire, Transdev, RATP, Rotala, CentreBus, Uno, McGills, West Coast Motors and Midland Classic. Even London has fewer operators than just before LBL was privatised, but if anything this is for another thread.